Decided on urethane foam in Palm Desert? A lot of work goes into installing or remodeling your roof. One of the things to consider is the type of material you want your roof and insulation to be made of. Certain materials work better in different situations, and depending on your needs, one might be better than the rest. If you’ve looked through these options for your property and decided on urethane foam in Palm Desert, you’re in luck! Reliable Roofing is just the company you need. If you want to make sure we’ll give you a roof that will last, look no further than our name! What is urethane foam? Urethane foam is an artificial material made to fit a number of needs. It is a very versatile material that can be shaped in different densities and hardness levels. Its applications range from soft mattress toppers to protective rooftops that guard against the elements. Created by NASA, the foam can be applied through a spray gun where liquid components harden and expand in a matter of seconds! Is urethane foam a practical roofing choice? It’s seamless, meaning that you can have one solid piece as your roof structure leaving no cracks for water or anything else to get in. It is very effective as an insulation material because of its R-value. This means you stay cool in summer and warm in the winter! As an energy star approved material, you’ll save plenty of money on your utility bill while also helping the environment! 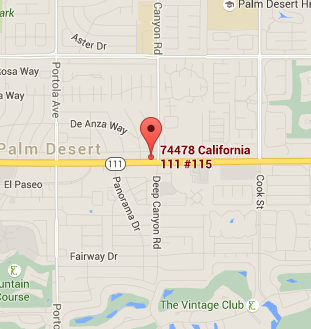 With all the roofing contractors in the Palm Desert area, why go with us? Don’t take our word for it; look at the customer reviews! With consistent 5 star ratings on Yelp, Google, Home Advisor, and more, our clients are pleased with our quality craftsmanship and unbeatable value. So when you need a new roof come to the roofer Palm Desert trusts; the most Reliable Roofing company around!